Reverend Raven knows his congregation as he encourages The Chain Smokin’ Altar Boys to put some church into the processional groove of “Slow Burn” while their recent release My Life (Twentieth Anniversary) rides the snaking guitar lines of “I Want to Love You”, slaps out a beat on “Praying for a Princess”, and brushes out a Jazz-slick rhythm for “Handyman”. 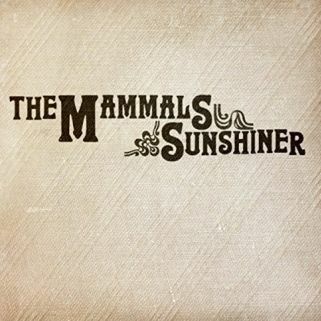 For their eighth album. 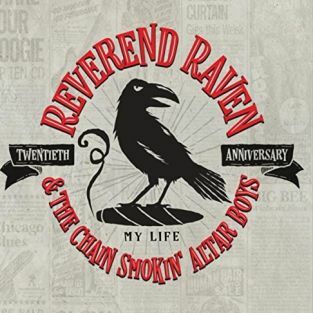 Reverend Raven & The Chain Smokin’ Altar Boys pick out tunes from their catalog, re-mixing or re-working the cuts for My Life (Twentieth Anniversary). Never predictable, Reverend Raven & The Chain Smokin’ Altar Boys worship at the altar of Rock’n’ Roll, laying down a mighty rhythm for “Creature of Habit”, bringing in a big band beat to back “Someday When I’m Dead and Gone”, and going low on a rumble as the hair gets higher in “Beehive Baby” while My Life soundtracks the title track with honky tonk rock’n’roll. New England is the home of Folk Singer Dave Richardson. His recent release, Carry Me Along helps his characters find peace as their tales are told with honesty, Dave Richardson placing a no-tears sign on “Traveling So Far” as its story comes parks in a funeral scene while nature is put on display for “Squid”, a sea tale is told with “Polly’s Ghost”, and a slowed heartbeat defines the rhythms of “The Unquiet Grave”. 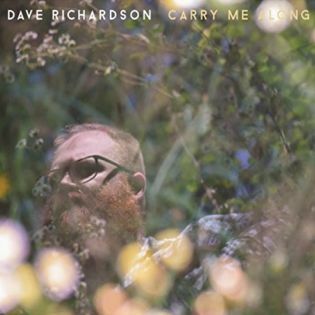 Like all singer-songwriter’s, Dave Richardson keeps Folk music as his primary language as he touches the music, sound-tracking his words with Country and traditional music. Currently based in Vermont, Dave Richardson uses his travels and time spent in Maine, Colorado, New York, and Massachusetts as backstories for his songs. Carry Me Along bids farewell as “Goodbye Baltimore” finds an exit, quietly strums while the rhythm picks up the excitement of dawn waking the world in “Waiting for the Sunrise” and watches a young bride enter “Bachelor’s Hall”. Dave Richardson staggers the rhythm for “Front Porch Time” as he climbs “Turtle Rock” to find the joy in taking chances. Opening track, “Harbor”, is the only cut with additional musicians as multi-instrumentalist Craig Eastman joins Billy Kemp on Billy’s recent release, Another Life. 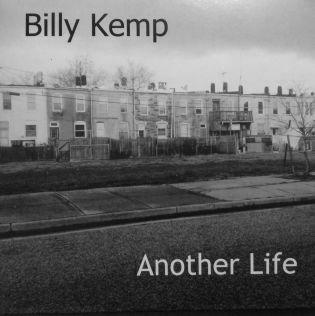 The remaining tracks on Another Life feature Billy Kemp on percussion, piano, melodica, banjo, bass, guitars vocals and horn arrangements for the tunes collected. 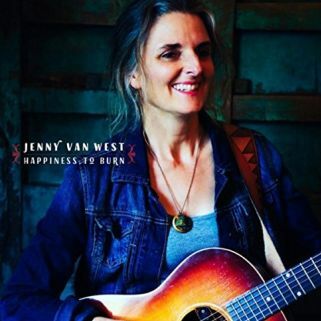 Billy Kemp picks out banjo notes that stand stark against the lyrics, like starlight making its point with tiny flickers in the darkness of “Night Time Sky”. Another Life takes a walk with Mountain Folk music as its travels into “Down Where the Dogwoods Bloom”. 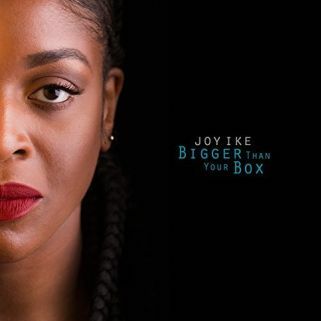 The album introduces “Mr. Wilson, the Stonecutter” on a rhythm of plucked notes, shakes the story of “Benjamin Banneker” with the persistent rattle of percussion, and peaks into the life of a Baltimore man returning home from work on the water in “Chesapeake Narrows”. 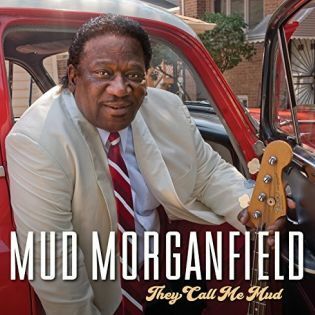 Billy Kemp is a storyteller, the music backing his tales with guitar rambles (“Seven Mondays”) and finger-picked reveries (“Lillian and the Blue Car”) as Another Life sits at Billy’s piano bench to travel into a memory on “Kings of the Grandstands”. 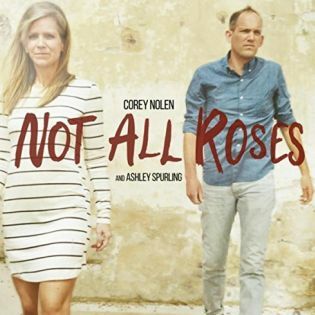 On his fifth album release, Corey Nolen partners with Ashley Spurling for the couples-conversations revolving around the relationship tales on Not All Roses. 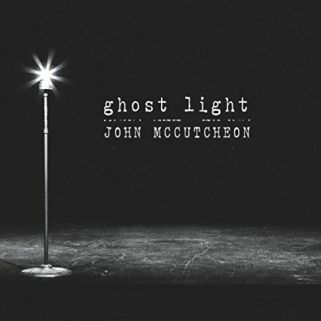 The backdrop is love as stark piano chords border the rhythm and moods for Ashley Spurling when she sings of hopes that have become “Ashes and Dust” while Corey Nolen reads “Page That Never Turned” over freefalling sonics that cascade and swirl around his story. 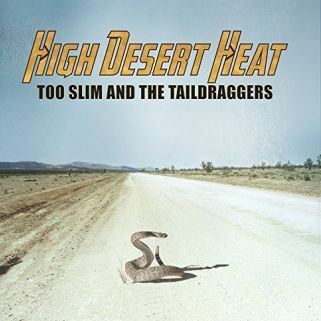 Corey Nolen and Ashley Spurling hitch a ride on a Country Rock’n’Roll beat, steering “Most of It” down life’s roadway while Not All Roses weaves a common thread through their troubles in “Happy Ending” and finds long-term commitment settling with “Version of Love”.